Welcome to paradise! 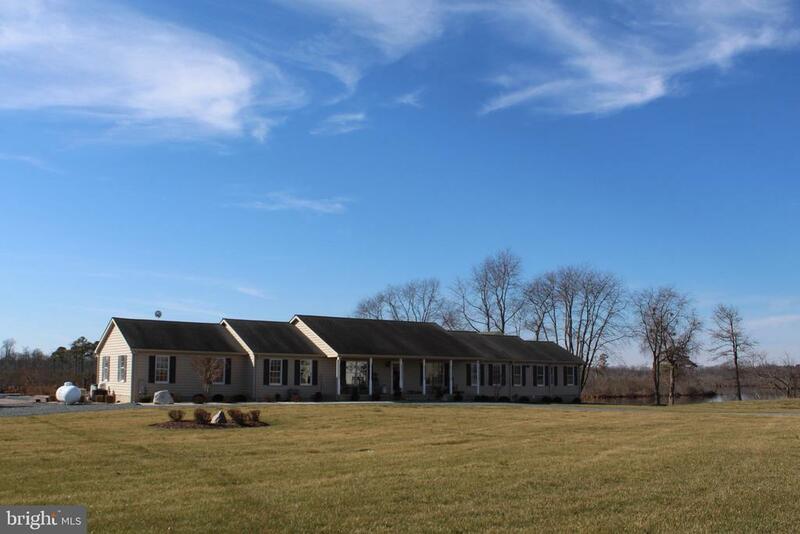 This amazing 6.2 acre property is located close to Rt 50 and just a short drive to Easton, and is completely private and directly on the water! The home is over 4, 000sq ft and features beautiful water views throughout, lots of rustic charm, a double sided stone fireplace, tons of indoor and outdoor living space, 6 bedrooms, 3.5 bathrooms, surround sound inside and outside, an amazing master bedroom with a sauna, a security system, in-ground pool, deck, patio, large detached shop with electric, heat and water, and so much more!